Every project is or should be part of a value creation process. 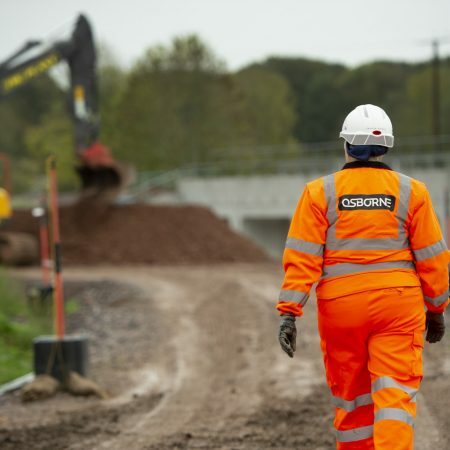 Every new or upgraded infrastructure asset will generate benefits (or value) for operators, travellers and the businesses that rely on our road and rail infrastructure to move people and goods efficiently. In a sustainable commercial culture, there will also be business value created for contractors and their supply chains. This is beyond the economic value that can be counted on their balance sheets. It could be improved skills and knowledge, better systems, more effective communication and knowledge sharing, superior quality, safety or team motivation. To safeguard improvements to our transport infrastructure, and to help migrate to a digitally enabled transport network, contractors and supply chains need to be creating business value, as well as customer value. The business value we create today helps us become more efficient, innovative and capable when it comes to the projects of tomorrow. It’s fundamental for our future prosperity and wellbeing. Where does the balance currently lie when we are making decisions about how to award contracts, who to, and how those contracts need to be executed? In the longer term, customer value and business value are surely interlinked. Contracts that give contractors space to innovate, learn and share new knowledge deliver greater lasting value to all parties. Decisions should balance out customer and business value rather than be obsessed with cost. Perhaps the biggest danger with cost-focused procurement is that value takes a hit for everyone. Budgets cut to the bone leave little scope for innovative thinking or creative solutions that deliver added value in terms of less disruption, technical simplicity, flexibility, asset durability or improved communication flows. There’s also less scope to invest in upskilling internal teams and supply chains. When everything is about cost we take away many choices over how we can create greater customer and business value. While this might seem expedient, it won’t help the sector break free of the problems of low productivity and poor quality.